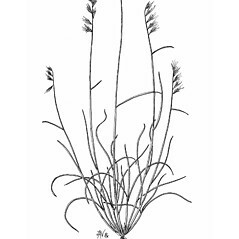 Bouteloua rigidiseta (Steud.) A.S. Hitchc. 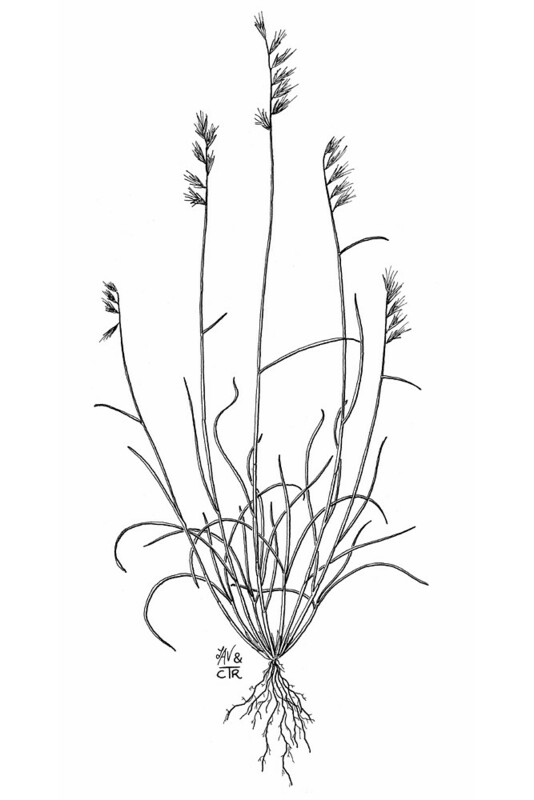 Texas grama is a small bunchgrass native to Texas, Oklahoma and Mexico, and a dominant species in some short-grass communities of central Texas. It is a rare tourist in New England, having been collected only in Massachusetts. 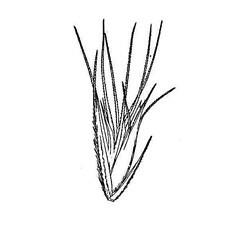 inflorescence with mostly 30-80 branches and central awn of lowest lemma not flanked by lateral lobes, therefore the lemma with a total of 3 apical lobes (vs. B. rigidiseta, with the inflorescence with mostly 6-12 branches and central awn of lowest lemma of spikelet arising from between two membranous lobes, therefore the lemma with a total of 5 apical lobes). 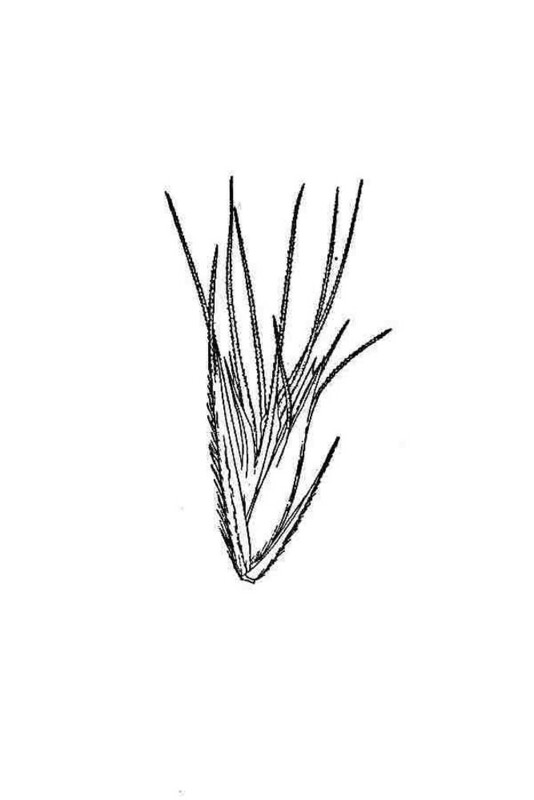 Texas grama. MA. Waste areas, disturbed ground.